You can’t blame Michael Markicevic, a dude in trouble for weaving all sorts of tangled, higher educational webs up in Canada, for trying. I mean, if you’re padding your resume with fake degrees in order to impress potential employers, obviously you’re going to include one from Auburn. You just have to make sure you get the name right. Mr. Markicevic submitted a résumé for a management position at York that said he held an M.B.A. degree from “Auburn State University,” the newspaper reported. 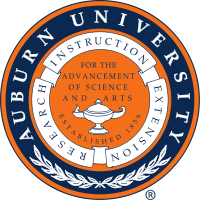 The university’s lawyers noted that no such institution exists, and confronted him with correspondence from Auburn University indicating that he neither attended nor received a degree from the Alabama institution. However, when York announced his appointment, in 2004, the institution said he had a degree from Auburn, according to the newspaper. Not even Pat Dye gets to call us Auburn State, Mike. After an apparent 2 year police investigation the charges were withdrawn by the Canadian prosecutor who says there is no objective evidence (in a fraud investigation?) and that the witnesses are not credible AFTER these same witnesses have apparently been promised immunity from prosecution? York continues to claim it has all kinds of evidence so where is this evidence and why has it not been presented during the court proceedings? Seems the only card they have left to play is dragging this guy through the mud hoping something sticks. As for his “bogus degree” seems the facts surrounding that have been unclear in that court documents indicate he never claimed he had a degree from Auburn and openly provided York with all his credentials for their review before he was hired. Looks like the media has once again jumped on the “got-em bandwagon” and failed to follow up with what seems to be a bizarre Canadian court proceeding.